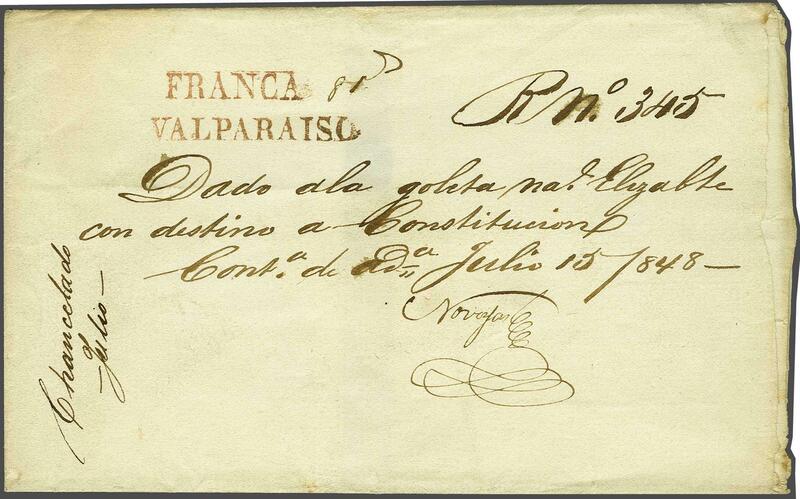 1848 (July 15): Cover from Valparaiso to Constitucion with superb strikes of straight line FRANCA and VALPARAISO in red with manuscript '8 rs.' rate. Carried by Ship's Captain, a fresh and fine cover with near complete Customs (Valparaiso La Aduana) red wax seal on reverse.